We all know the Tatuaje Brown label as a cornerstone of the industry post 2003. These cigars are one of the best examples of “New School” Nicaraguan blending style. Bold and citrusy, this New World example of Cuban heritage comes tonight in a 5-½”x50 Robusto Extra vitola. Sit back, relax and join us as we smoke this version from January 2010, when the Brown label was still a true Nicaraguan puro. We talked, I believe, on the last show about the fact that the next Nicaraguan Puro Sabor festival has been canceled – or, more accurately, relocated and scheduled to occur in Miami in January 2019 – due presumably (although not stated overtly) to civil unrest in the country. Now, Drew Estate has also canceled their Cigar Safari events until late 2019. 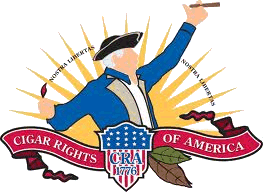 The Cigar Safari events are wildly popular among DE fans, and take place at various times each year. Ticket sales were originally postponed a bit, but now won’t begin until May 2019 – with travel dates falling in Autumn of next year and Spring of 2020. Additionally, remaining dates for this year have been scrubbed. While we’re discussing cigar festivals, the Dominican ProCigar event has opened registration for next year’s event. It will take place Feb 17-22, 2019, and the ticket price for the entire event is now $1200US – not including hotel or airfare(!). This festival comes in stages, with the early portion taking place in Caso de Campo and the latter in Santiago. Lou Rodriguez – holy crap. Where did he go?! Original Grimalkin from Emilio (not the recent re-release). It was a decent cigar still, but not the cigar I remember so fondly. It seemed to have faded a good bit, and was somewhat muddled with its flavors. Worth smoking if you have them onhand, but not worth seeking out for me. Pipes – Full Virginia Flake (which I opened during our last show). I set a land speed record smoking through this tin. I always liked it fresh, but have to say time does very good things for this blend. My only regret is that I didn’t cellar it in pounds rather than the handful of tins I did put aside. Join us next time for Episode 185, featuring the DT & T Mi Querida. If you would like to contact us, use any of the methods on the Contact Page. Past episodes are in the Half Ashed Archive. You can download this week’s audio directly in the summary at left, find us on iTunes, or subscribe with any podcast app at our RSS Feed. Raw video is available at the Half Ashed YouTube Channel.